Labor Day is the last true hoorah of summer. Whether you are going back to school or not, there is something about September that screams you need to get back on a schedule & focus. For me, in retail, it is a reminder that I have two months to get my team ready & prepared for the holiday season… aka two months of straight hell in November & December. When I was coaching cheerleading a few years ago September meant practices got more intense, every Friday I had two football games I had to sit through & working two jobs during the busiest season for both, would be craziness. Getting out of the door in the morning can really be a struggle sometimes, but I am not the type of person that can skip breakfast & be happy & perky until lunch time. No mam, this girl needs a little something to get her morning going. Granola bars can get old, & a few years back I totally did it in on hard boiled eggs. If I don’t have another for another year it’ll be too soon. So I am always looking for something easy to grab on my way out the door. 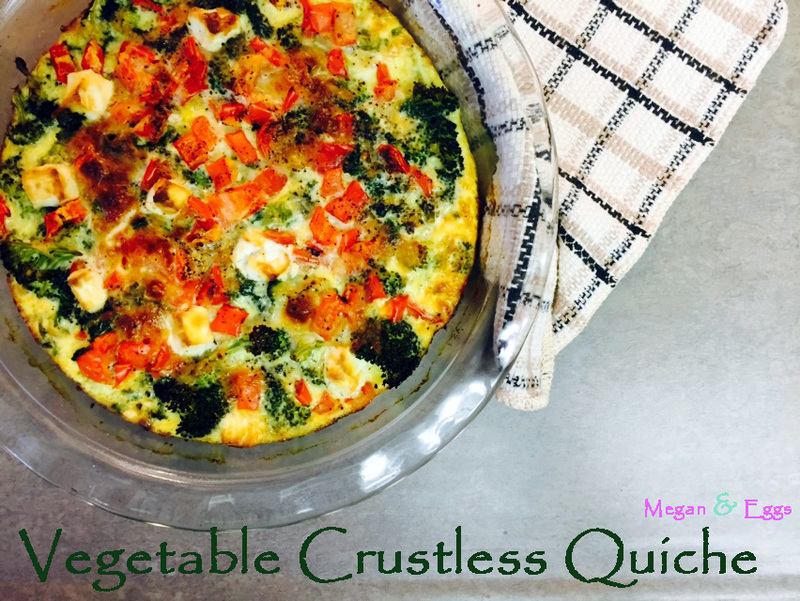 My mom obsesses over crustless quiches. 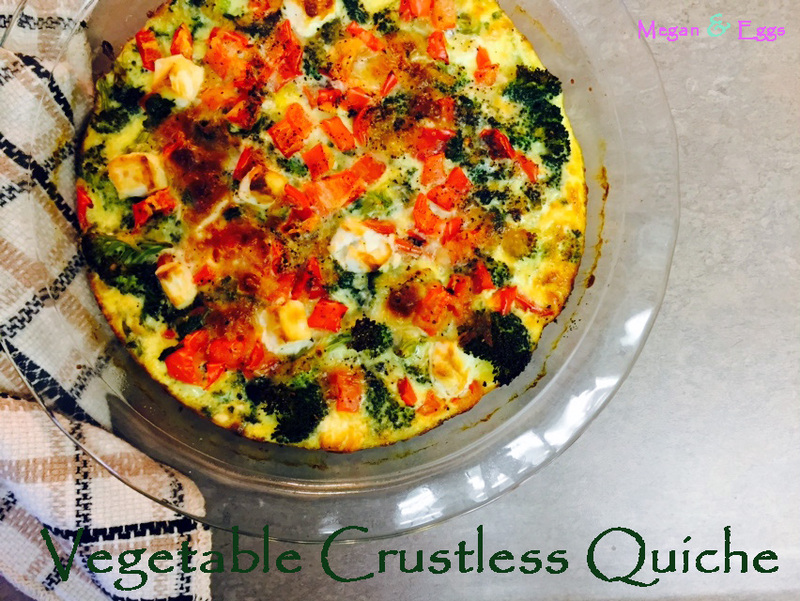 I honestly don’t think she makes them that often, but whenever I say I am having people over for the weekend, or need something easy for the morning, she always suggests, “you know, I make this crustless quiche…” So I thought I’d finally try it. Honestly one of the easiest things I have thrown together. One Sunday I was doing a bunch of cooking for the week & I threw this together pretty quickly, & even better… cheaply. You can really grab whatever veggies you have in the fridge, & it is really good for those weeks that you over buy in veggies & you know you’re going to end up throwing some stuff away. I had kale, broccoli and bell peppers in my fridge and just a little extra mozzarella cheese leftover from a lasagna I made. 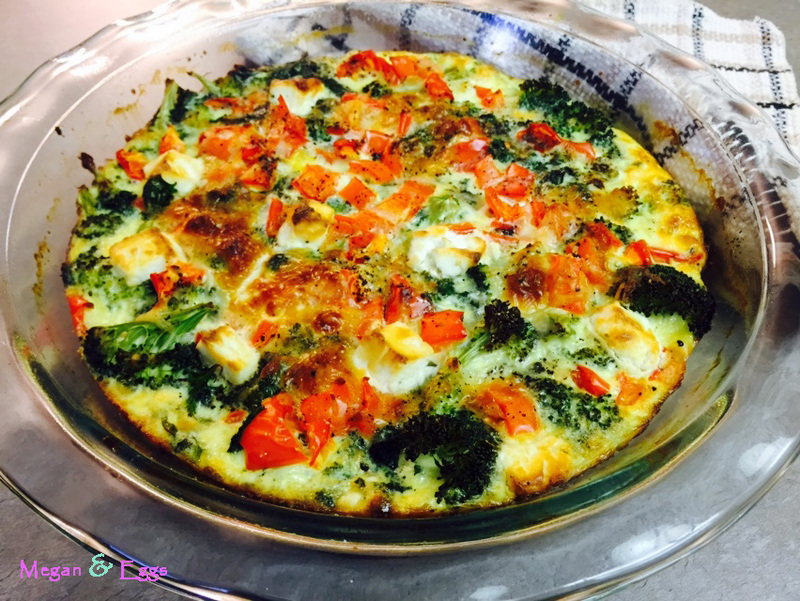 With my aunt talking me through how she makes her quiche, ironically she had made one for brunch that day, I made a few tweaks to her directions & there I had it, breakfast for the entire week. Since my boyfriend is one of those weird people that don’t like cheese, I was able to enjoy this all to myself. Next time you are thinking, how am I going to eat all of these veggies before they go bad tomorrow, grab a carton of eggs & bake them together. Enjoy! 1. Preheat oven to 350⁰ and spray pie dish with vegetable cooking spray. 3. Layer in kale and broccoli along the bottom of the pie dish. Top with an even layer of bell peppers. 4. Layer the mozzarella cheese evenly over the vegetables and then crumble the goat cheese evenly throughout. 5. Crack eggs into a separate bowl and beat. Add salt, pepper and cream to mixture and continue to beat allowing the eggs to aerate. 6. Pour egg mixture into pie plate and bake for 45-60 minutes or until cooked through the middle.